Ratheesh always prefers his first choice to be related to films, born on 1954 in Kalavoor, which was then part of Thiru - Kochi and now in Alappuzha. the results not came in his favour. After not finding success in agriculture, Ratheesh perceived the financial crunch, which kind of disheartened him. In the end of 70's, Ratheesh made his debut through the Malayalam film "Vezhambal" with the small time role and later in 1979, his second small appearance came up with the film "Ullkadal" directed by K G George. 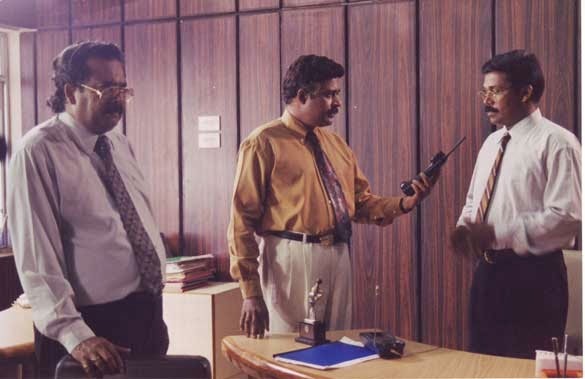 With the beginning of 80's, Ratheesh slowly started his journey to the success with the release of Bharathan directed "Chamaram" and I.V.Sasi's "Thusharam". Bharathan's "Chamaram" showcased Ratheesh as a lover, who waits for his lady love, It also consist the classic song "Nadha Nee Varum Kalocha Kelkuvan" sung by S.Janaki and music was composed by M.G.Radhakrishnan. "Thusharam" depicts another side of Ratheesh, which enhances the more opportunities for him. "Ammakkorumma", "Ahimsa", "Ee Nadu", "John Jaffer Janardhan", "Gurudakshina", "Oru Mukham Pala Mukham", "Inniyenkilum", "Lekhayude Maranam Oru Flashback", "Ivide Igane", "Unaru", "Ottayan", "Shatru", "Akachiyude Kunju Vava", "Ayiram Kannukal", "Abkari", "Thanthram" are the few films which include his stint in the 80's. As on that era, Superstar's emergence effected the chances of mainstream heroes, in which one of them was Ratheesh. In that space of time, Ratheesh find his characters in negative shades and the time was past when romantic action star Ratheesh gets out of the most paid actors list. After 1989, he had not acted in any Malayalam films, but was active as a producer in 1990 with "Ayyar The Great". This was the time, when actor goes through difficult time of his life. After the span of 5 years, in 1995, Ratheesh returned to the Malayalam cinema with the movie "Kashmeeram". And then on the character of Mohan Thomas in the movie "Commissioner" turn on the tide again towards Ratheesh by becoming the most sought after Villain, but as the everyone say life is struggle, late on 90's Ratheesh just limits his character and done films like "Danny" and "Ravanaprabhu" was the remarkable one in his career. 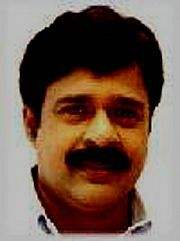 At the age of 49, Dec.23, 2002, actor Ratheesh leaved the arena of Malayalam cinema with his memories of over 160 films. Actor's wife Diana Ratheesh passed away at the age of 54, on Dec.6th 2014. His daughter Parvathy Ratheesh is all set to follow her father's dream in films. Padmaraj, Padma and Pranav are the other children of actor. I wonder what made him an alcoholic ( if I may use the word)? In film field particularly nobody can be believed. People whom one helped in need may not turn towards him, once he succeed and the other fail. Only human can be such inhuman. Ratheesh was one such persona, that no other Malayalam actor came across his acting mannerism.